I’m sure by now, all the ballers are waiting with great anticipation to the biggest event in the basketball calendar. Preparations are showing that this year’s ESPN event is certainly going to live up to its hype. Excitement continues to grow with each day we get closer to the judgement day. This would be the event you would want to bring your potential sponsor or funder to get a full view of the real potential of basketball in this country. That said, let me get to business. 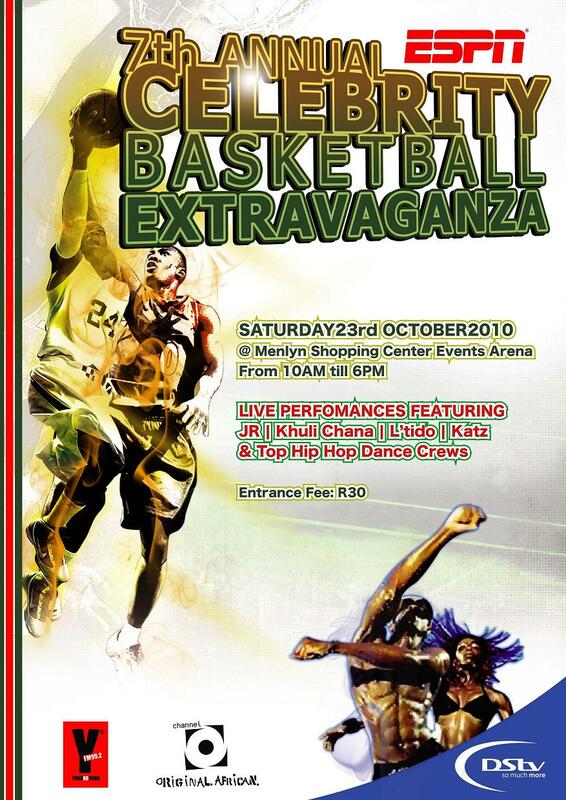 Pro Sport Consulting and DarkChild Productions are working hard to ensure that 2011 brings with it the best basketball league and events Mzanzi is yet to see. In order to achieve this, huge financial investment would be required to support the administrative work load that is expected to come with the league. One of our aims for 2011 is to have the strongest national league that will provide training ground for our national squad to better their performance in international competitions. Instead of us being dependent on funders for the league, we are looking to find ways to raise money and the ESPN event is one such fund raising opportunity. All the gate takings at the ESPN event will be donated towards the National League development through Pro Sport Consulting so hopefully we’ll get little or no calls for free tickets on the day. The event will feature basketball clinics (early in the morning) with games (Joburg vs Pretoria all stars) high school and open age just before the Celeb game. The high school all star selection for the Joburg team will be ran by Onkgopotse ‘Kaypee’ Ndlovu (email kaypee9@hotmail.com for more info) and Cap City all star by Neo Mothiba (email nkmothiba@stmarys.pta.school.za for more info). In order to get a fair selection of the best players to play in the open age exhibition game, we would like to invite all ballers to an open run at Wits University Outdoor Court (by the Matrix) on Saturday the 16th of October from 2pm. This is a Streetball session so you can come on your own and form a team when you get there, or bring your 5 ready to ball. All selected players will be paid an appearance fee to play at the ESPN event. Only 10 players living in Joburg and 10 from Cap City will be selected irrespective of whether they are South African or not. Your game is your ticket to the event and that’s all we looking for. Game Recognise Game so no haters. Interested players must confirm their presence with Peter on peter@prosportconsulting.co.za See you there, Peace!